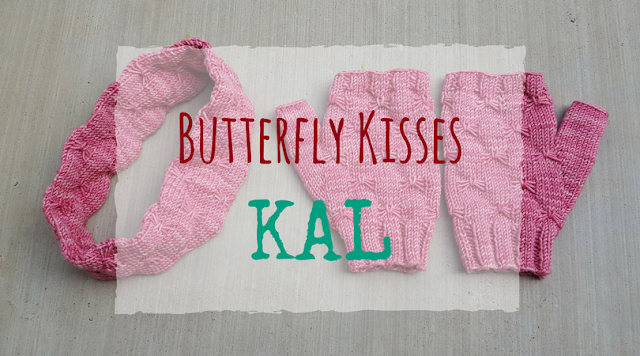 I am happy to announce my second, skill building knit along, the Butterfly Kisses KAL. 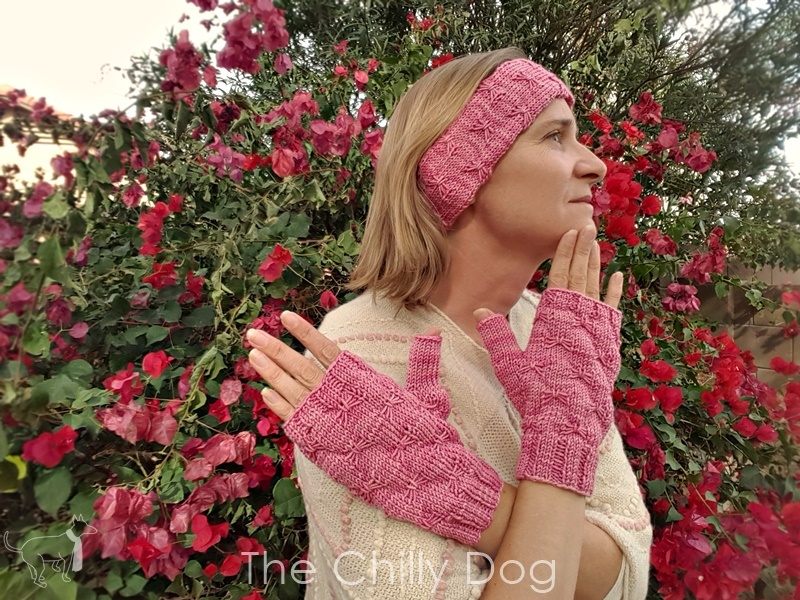 This February, we'll be making my Butterfly Kisses earwarmer and fingerless mitts set and I am going to walk you through each step of the pattern with helpful tutorials. Each week we'll be focusing on new skills that will help you complete an earwarmer headband and then a pair of mitts. Here's the schedule (the links won't be active until the date listed next to them). If you would like to receive twice weekly emails with links to the tutorials make sure to sign up for notifications at, http://eepurl.com/dga58X. 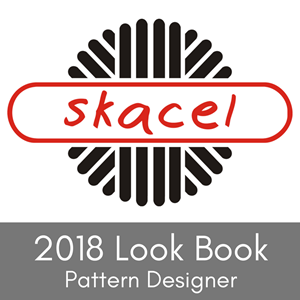 Sections of the pattern will be posted with each lesson. A printable version of the entire Butterfly Kisses Pattern will be available for purchase in my shop on February 1, 2018. Many thanks to Skacel for providing me with the HiKoo Sueño yarn and addi Natura knitting needles I used to design this KAL! 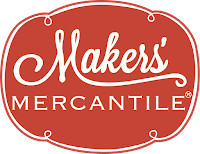 These products are available locally at many yarn shops and online at Makers' Mercantile. The Butterfly Kisses pattern is one size fits most. 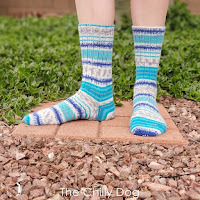 To make sure your set will fit properly, make a gauge swatch before the KAL begins. 24 stitches or 30 rows = 4 inches in stockinette stitch. I have a couple neat prizes for this KAL. Tell your friends about the KAL by publicly sharing this blog post on social media any time between January 15 and February 15, 2018, for your chance to win the flamingo pink earwarmer and mitts I made. Make sure to tell me about your social media post(s) in the Rafflecopter widget below. One lucky random winner will be chosen. 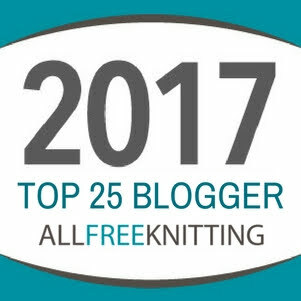 I would love to see your KAL progress! 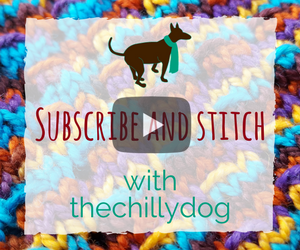 From February 1 - March 14, 2018, share pictures of your work on Facebook or Instagram with #thechillydog and tag me @thechillydog. 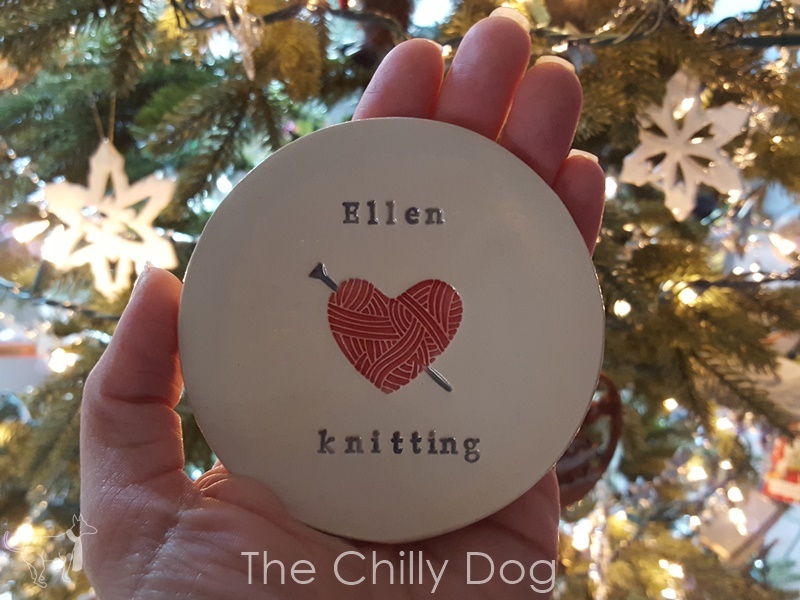 On March 15 I'll be choosing my favorite to receive this adorable knitting dish by ceraminic, personalized with the selected winner's name. 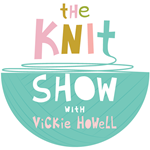 Improve your knitting skills and make a cozy set of mitts and an earwarmer with the Butterfly Kisses KAL hosted by The Chilly Dog.